There has to be a simpler, more cost-effective way to keep your data safe. This is the problem that Cohesity is designed to solve, with an entirely new approach to data protection. 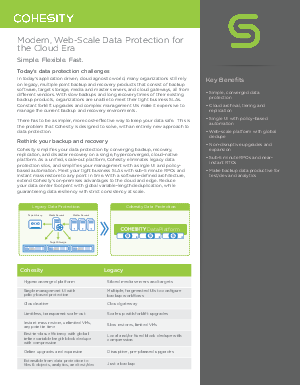 Download this solution brief to learn more about Cohesity and its advantages!